Being a vacation season I thought sharing this Tip will be very useful for all of us. After our vacation we would be ended up with hundreds and hundreds of Photographs . So here is the steps how to send photos within a single click.. When we need to share the photographs, we conventionally do any one of the following ways. 1. Attach photographs directly to mail. 2. If it is >10MB, We will split and attach in different mails. 3. We will compress using Compression software(which in turn does not reduces the file size much) and share via mail. 4. Upload in Picasa/Flickr/Facebook or any social media which is always blocked in corporate proxies. So How to share photographs which can be seen by all members without any problem? 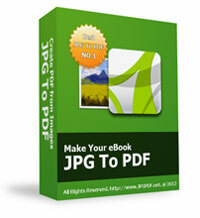 Try JPG to PDF Software; This software will convert all your pics into a single PDF file so that you can share via mail. This reduces the image size with acceptable compression and simplifies your task. The speed of this software is amazing and will convert multiple images in few seconds.